In STATE, a small society manifests itself through ritual dances. Fiksdal’s provocative collaboration with Danish director Jonas Corell Peterson lucidly introduces the part ritual takes in the creation, and flourishing, of the state and its continuing relevance today. The atmospherically dense design is co-created by noise/extreme metal artist Lasse Marhaug and Danish avant-fashion designer Henrik Vibskov. Ingri Fiksdal (1982) works as a choreographer and is currently a Research Fellow at the Norwegian Artistic Research Program. Her work deals with perception and affect, and places equal emphasis on sound, light, choreography, costume and set-design within a performance. The audience is always integral to the performances, which aim to create the potential for immersion to occur. An on-going theme within Fiksdal’s work is the ritual and its inherent capacity of transforming and ultimately transcending its partakers. Within this, the relation between cognition and affectivity, and how they operate in perception and production of meaning, is central. Her most recent productions STATE (2016), Shadows of Tomorrow (2016), Cosmic Body (2015), HOODS (2014), BAND (2013), Night Tripper (2012) and The Orchard Ballads (2011) have toured to a number of venues in Norway, Europe, the US and China. Several of the productions are made with performer Pernille Holden, scenographer Signe Becker and composer Ingvild Langgård. Night Tripper won the Oslo Award for Best Performance in 2012, and HOODS won the Dance Critic Award for best performance in 2014. 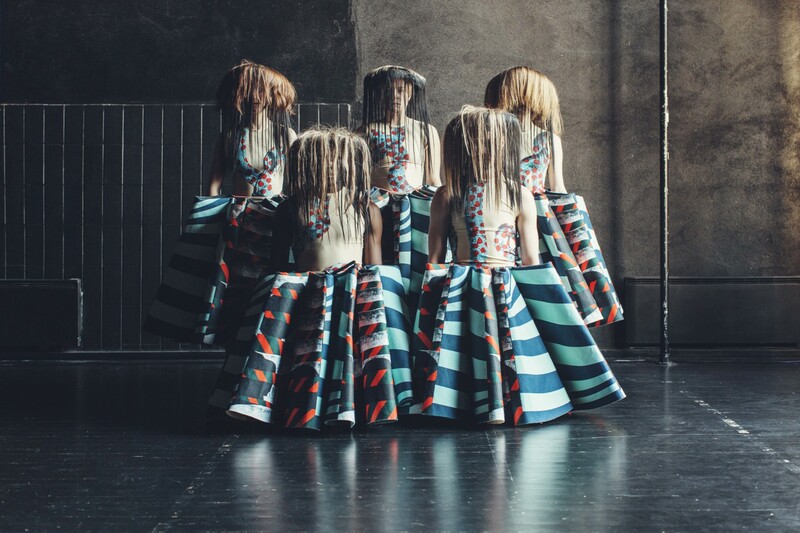 Cosmic Body (Signe Becker, Mia Melinder and Tilo Hahn) was nominated to Heddaprisen 2016 (Norwegian National Theatre Award) for Best scenography and costume. Ingri Fiksdal is supported by apap – Performing Europe 2020, co-funded by the Creative Europe Programme of the European Union. Ingri Fiksdal receives base funding from the Norwegian Arts Council. Jonas Corell Petersen was born in Copenhagen and has studied theater science, art history, and philosophy at The University of Copenhagen. He has a five-year education in theater directing from The Oslo National Academy of Art. His work has been performed in Norway, England, The Netherlands, Germany, and Denmark. Petersen is currently appointed house director at The Norwegian National Theatre. He won the European Fast Forward award for young directors for his diploma production, Young Werther’s Sufferings (2010). In 2012, he was awarded The Hedda Award for best youth production for I-IK-EG. Other productions include the dramatizing and directing of BABY, Don Quijote, and ZOO. Petersen has recently written and directed two plays performed at the Norwegian National Theatre, We chew on the bones of time (2015) and Island (2016), which both could be seen as works of magical realism. Located between Lake Michigan and the Magnificent Mile (Michigan Avenue), the MCA champions the provocative side of contemporary art and culture. Our innovative exhibitions, performances, and programs will inspire you.